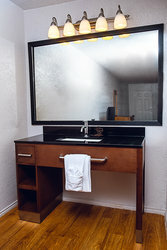 Our lodging in Marfa is well-equipped for groups, teams, wedding parties, extended stays, and more! Stay connected with free Wi-Fi, make use of your in-room fridge and microwave, keep your clothes pressed and fresh with an iron and ironing board, and bring the pets along on your travels. Spend your evenings relaxing in front of your TV and access cable channels, as well as HBO, so you never have to miss your favorite shows. Enjoy a comfortable and convenient stay with us regardless of your mobility or accessibility needs. 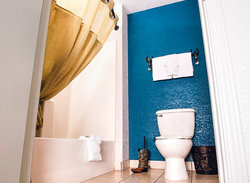 We offer accessible accommodations that are equipped with roll-in showers, lowered vanities, seats in the showers, grab bars, as well as ramps to enter the rooms from our parking lot. 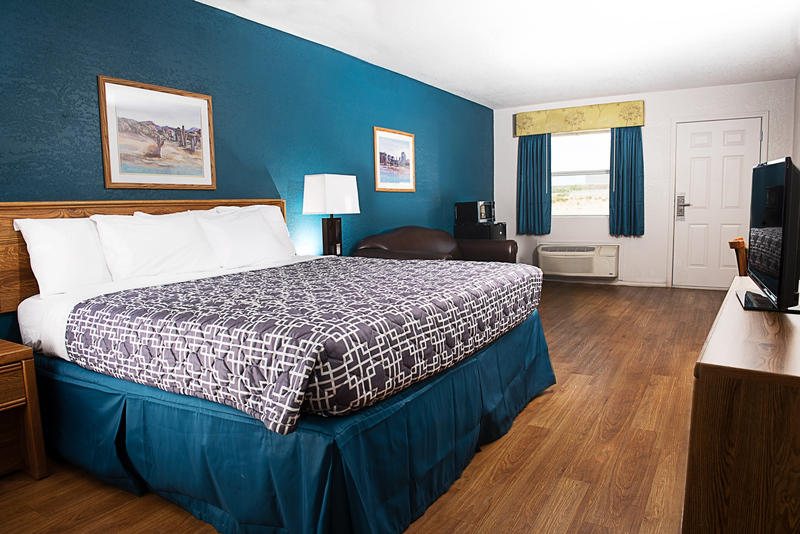 Browse our variety of standard and accessible hotel rooms in Marfa below and book your stay today. Our King Room is a spacious 360 square foot room with a plush king-sized bed and a leather sofa that can be used as a sleeper sofa. Relax in front of the television on the couch or pull out the bed. Plus, use your in-room activity table, executive desk, and complimentary Wi-Fi to stay connected and get work done. Sprawling over 360 square feet, this comfortable Double Queen Room is the perfect accommodation choice for visiting groups and families. 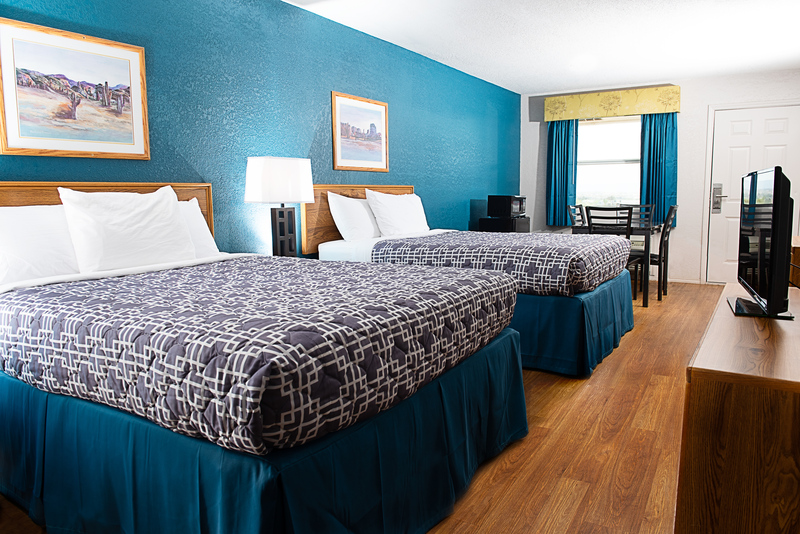 Stretch out on the comfortable queen-sized beds, enjoy premium channels like HBO on the television. This smoke-friendly Double Queen Room is ideal for traveling groups or families. 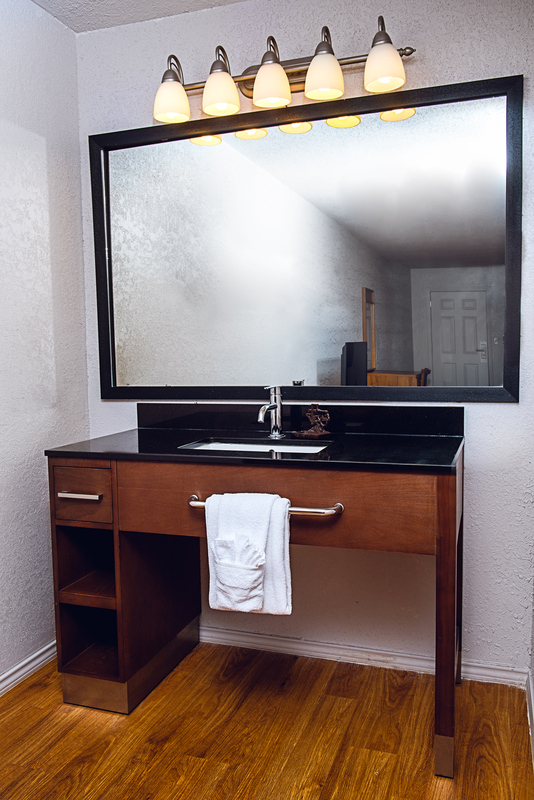 The only room we offer on-site that permits smoking, it is equipped with all of the well-appointed amenities of our non-smoking rooms. This comfortable accessible King Room is well-appointed with a spacious king-sized bed. 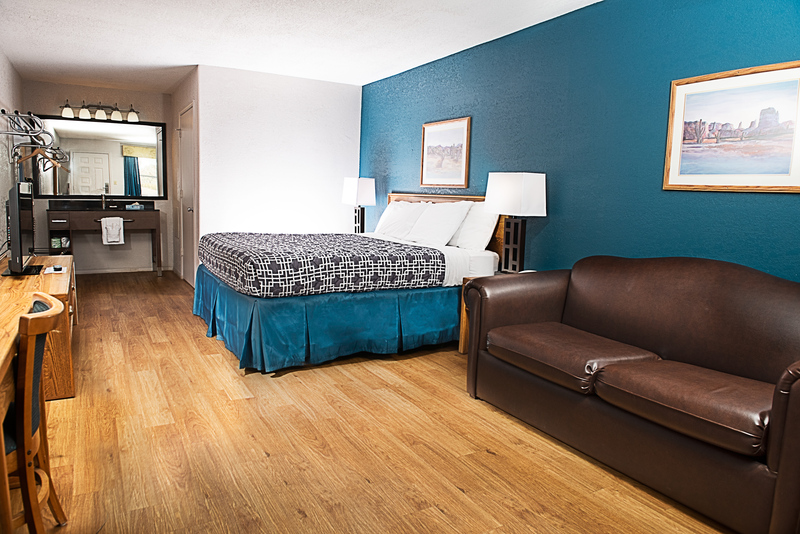 Featuring over 360 square feet of space, our Marfa lodgings are the largest in the area. Enjoy the use of an executive desk and an activity table.